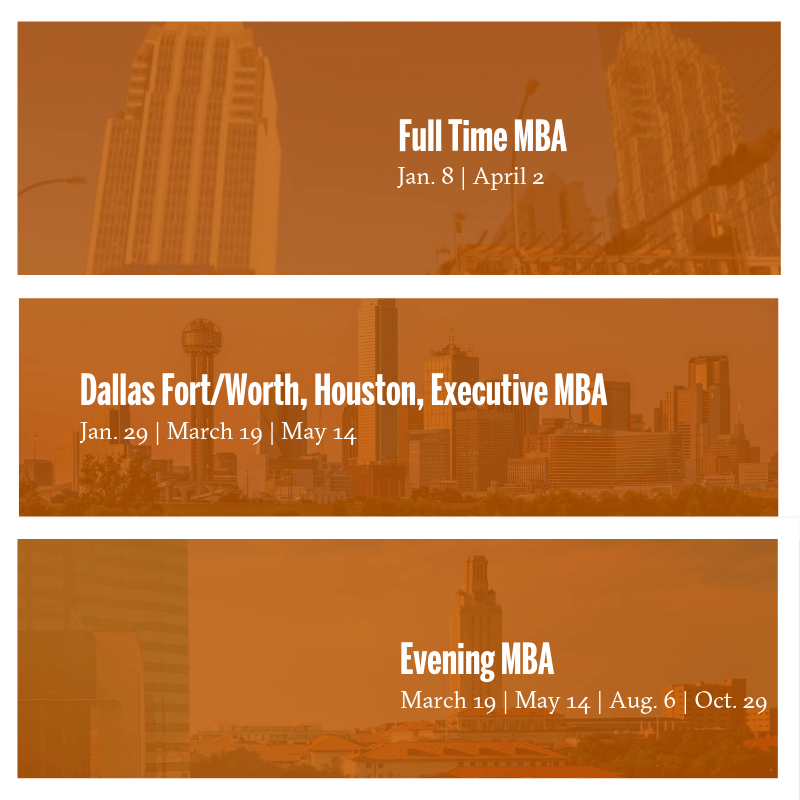 Pursuing an MBA is a significant commitment of time and financial resources. 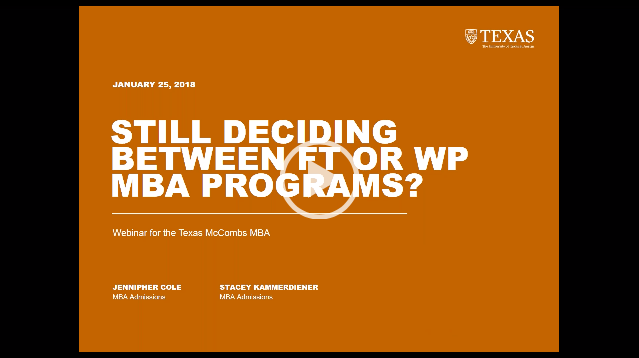 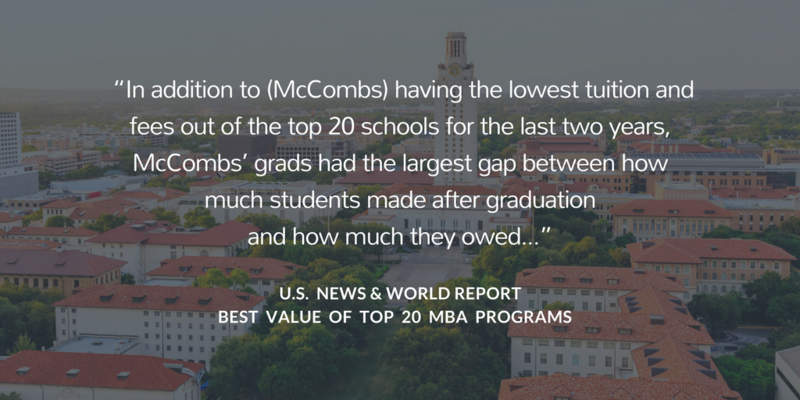 At Texas McCombs, we understand that finding the best return on your MBA investment is a priority and we are proud to have been consistently named a “Best Value” among Top 20 MBA programs. 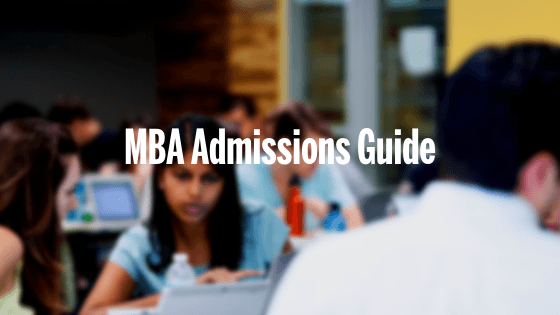 We encourage you to review all the MBA application components in detail, see what our students say about their MBA experience, and if you have additional questions, please reach out to us.